Russian Foreign Minister Sergei Lavrov, accused Europe and the United States of supporting a “coup d’etat” against deposed Ukrainian leader Viktor Yanukovich, a Moscow ally, a year ago and turning a blind eye to nationalists he said were intent on ethnic cleansing in eastern Ukraine. Lavrov cast the conflict in Ukraine as the result of a Western push to preserve global dominance following the Soviet Union’s collapse and asserted that the United States had taken steps that have led to escalation at every stage of the Ukraine crisis. Russia says Ukraine should keep its current borders — with the exception of Crimea, which it legally annexed in March — but has made clear it wants the rebel-held territories to be free to run their own affairs with a minimum of control from Kyiv. Lavrov reiterated Russia’s warnings against it, pointing to what he said were growing calls in the West to “pump Ukraine full of lethal weapons.” “This position will only exacerbate the tragedy of Ukraine,” Lavrov said. Several European governments have said they will not arm Ukraine and questioned whether the United States should do so. 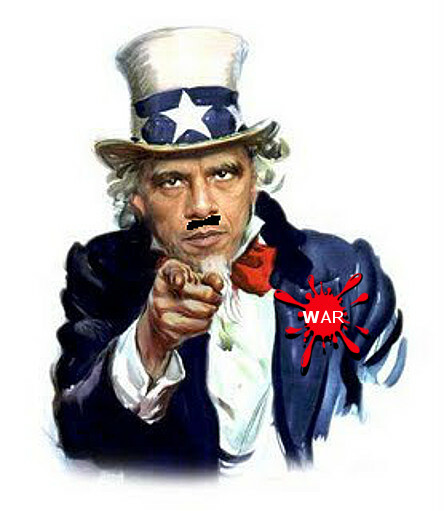 ONCE AGAIN THE US WANTS TO SUPPORT A FALSE WAR NOT IN IT’S BACK YARD. This entry was posted in News & Politics and tagged Angela Merkel, cold war, Control Freaks, Denial of fact, distortions, eastern Ukraine, ethnic cleansing, European Union, foreign policy, Liars, MANIPULATED, NATO, Obama, old war, President Barack Obama, Putin, Russia, Russian Foreign Minister Sergei Lavrov, The Russian President Vladimir Putin, the West, Ukraine, Ukrainian Armed Forces, Ukrainian government, Ukrainian president Petro Poroshenko, Ukrainian Prime Minister Arseniy Yatsenyuk, United States, Viktor Yanukovich, vladimir putin, World War III. Bookmark the permalink.